5.0" IPS LCD display, MT6592M chipset, 8 MP primary camera, 3.15 MP front camera, 2000 mAh battery, 8 GB storage, 1 GB RAM. 4.0" display, Snapdragon 200 chipset, 5 MP primary camera, 1.3 MP front camera, 1500 mAh battery, 4 GB storage, 512 MB RAM. 4.0" TFT display, MT6582M chipset, 5 MP primary camera, 1.3 MP front camera, 1400 mAh battery, 4 GB storage, 512 MB RAM. 5.5" IPS LCD display, MT6582 chipset, 8 MP primary camera, 2 MP front camera, 3500 mAh battery, 16 GB storage, 1 GB RAM. 6.95" display, MT8312 chipset, 5 MP primary camera, 2500 mAh battery, 8 GB storage, 1 GB RAM. 4.0" display, Spreadtrum SC7715 chipset, 3.15 MP primary camera, 1400 mAh battery, 4 GB storage, 512 MB RAM. 4.0" IPS LCD display, MT6582M chipset, 5 MP primary camera, 1500 mAh battery, 4 GB storage, 512 MB RAM. 5.0" IPS LCD display, MT6582M chipset, 5 MP primary camera, 1.3 MP front camera, 1800 mAh battery, 8 GB storage, 1 GB RAM. 3.5" display, SC6815 chipset, 2 MP primary camera, 1200 mAh battery, 512 MB storage, 256 MB RAM. 3.5" display, RDA 8810M chipset, 2 MP primary camera, 1400 mAh battery, 512 MB storage, 256 MB RAM. 4.0" display, 3.15 MP primary camera, 1.3 MP front camera, 1500 mAh battery, 4 GB storage, 512 MB RAM. 4.0" IPS LCD display, 5 MP primary camera, 1.3 MP front camera, 1400 mAh battery, 4 GB storage, 1 GB RAM. 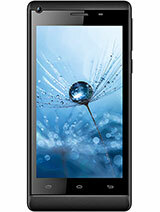 4.0" IPS LCD display, 5 MP primary camera, 1.3 MP front camera, 1400 mAh battery, 4 GB storage, 512 MB RAM. 5.0" IPS LCD display, Broadcom BCM23550 chipset, 8 MP primary camera, 2 MP front camera, 2500 mAh battery, 16 GB storage, 2 GB RAM. 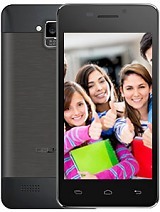 4.0" IPS LCD display, 5 MP primary camera, 2 MP front camera, 1500 mAh battery, 8 GB storage, 1 GB RAM. 5.0" display, MT6572M chipset, 5 MP primary camera, 2000 mAh battery, 8 GB storage, 1 GB RAM. 4.0" display, MT6582 chipset, 3.15 MP primary camera, 1.3 MP front camera, 1500 mAh battery, 512 MB storage, 256 MB RAM. 5.0" IPS LCD display, MT6582 chipset, 8 MP primary camera, 1.3 MP front camera, 2000 mAh battery, 4 GB storage, 512 MB RAM. 4.5" IPS LCD display, 8 MP primary camera, 1.3 MP front camera, 2000 mAh battery, 16 GB storage, 1 GB RAM. 4.7" IPS LCD display, MT6582 chipset, 8 MP primary camera, 2 MP front camera, 1800 mAh battery, 16 GB storage, 1 GB RAM.